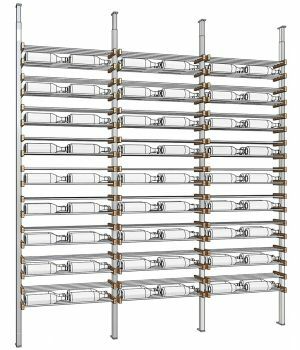 The smart solution for a modern, sleek and versatile wine rack! X Can be affixed to the wall or ceiling, depending on the room’s layout. 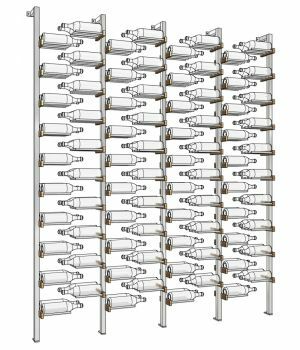 X A modular solution allowing for configurations of 1, 2 or 3 bottles wide of any type. 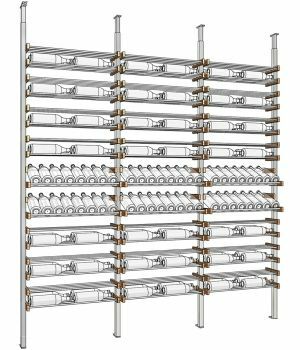 X Telescopic legs to ensure perfect fit and vertical poles that can be customized to any height. Solid walnut or mahogany with optional clear-coat finish. Also available in acrylic for more urban look. 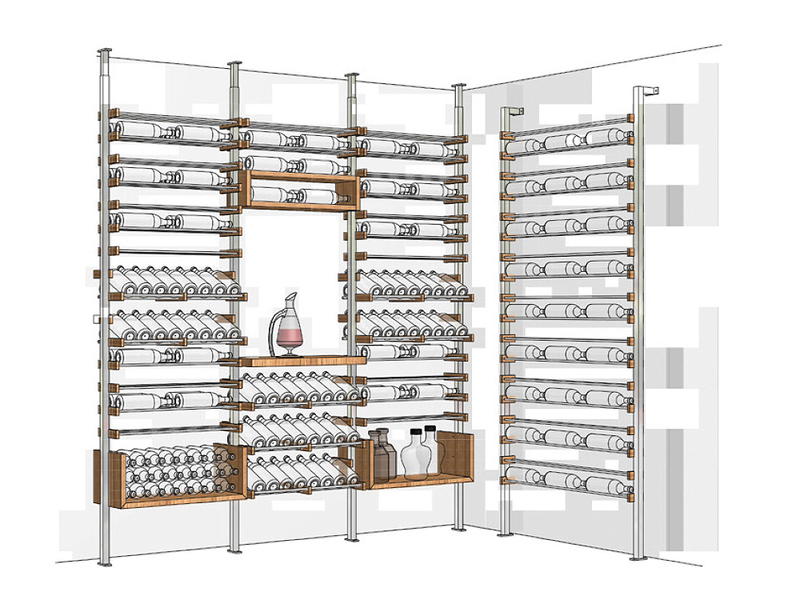 Millesime wine racks offer a wide range of configurations, giving you the freedom to install one wherever you wish. They are adaptable to all room layouts and wine collections of any size.